A core theme of the entire curriculum is a strong affirmation that Africa has a rich and dynamic history. This may seem obvious, but for many centuries Africa (at least the sub-Saharan region) has been portrayed in popular culture and academic discourse as a continent/region without history. History, by accepted academic definition, is a record, or just as importantly, an analysis of change with a given society, nation-state, region, etc. Until recently, prior to the arrival of the Europeans in the 15th century, sub-Saharan Africa was represented as cultures and societies sedimented in time and space, having not experienced change. Similarly, this paradigm accentuated a homogeneity amongst African societies and cultures. Both of these variants of the dominant discourse on Africa totally misrepresent the reality of Africa. Africa, in all of its regions, has a rich, diverse, and dynamic history. Three additional conceptual perspectives shape our approach to the study and teaching of the history(ies) of Africa. History is shaped, in part, by environmental, economic, social, and cultural factors. The history of African societies and cultures, in their rich diversity, has been influenced by environmental (geographic), cultural, social, and economic structures, practices, and processes. Historical events, and the development of societies through history, do not happen in isolation from the larger environmental (geography, culture, economics) influences and constraints. For example, the development of West African kingdoms and East African City States in the 15th – 19th centuries can be explained, in part, by physical environment, spatial location, mode of production, and earlier cultural perspectives. Through the creative initiation of culture, social structure, political systems, modes of production, trade, and consumption, humans have been active agents in shaping African histories. Human history in Africa, as elsewhere in the world, has not been simply environmentally determined. Human actors, particularly through collective action and practice, have been actively engaged in making their own history. Intra-Africa and international contacts and trade are very important in African history. As we have stressed in earlier modules, Africa has a dynamic history of interaction with Europe, the Americas and Asia (particularly West and South Asia). This relationship, however, has been masked (one could argue deliberately) by Europeans and North Americans. Until recently, Africa has been represented in popular, religious, and even academic discourse as an insulated continent, whose peoples, cultures, and societies existed without “outside” contact in a changeless isolation. As such, it was argued, Africa had no real history. It was this representation that led to the once popular image of Africa as the Dark Continent. By paying special attention to the rich and dynamic nature of Africans’ interactions (exchanges of goods, ideas, and people through migration-voluntary and involuntary) with other regions of the world, and just as importantly between African societies, we will address this egregious representation. Consequently, we will stress the crucial role of trade and migration within Africa and between Africa and other regions in the construction of the history of African societies. History can be explored chronologically and thematically. Throughout our curriculum, we will explore the history of Africa using and integrating both chronological and thematic approaches. For purposes of simplicity in our curriculum, we have divided African history into four broad eras. These eras are divided equally between part A and B of Module Seven. 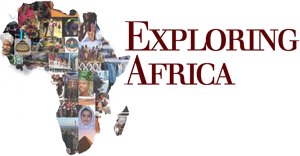 Emphasis on the development (history) of African societies throughout the continent. We will celebrate two types of African civilizations of this era (i) centralized kingdoms/empires, using the following examples from West Africa (Ghana, Mali, Songhay) and Southern Africa (Great Zimbabwe) (ii) small-scale, de-centralized societies in which the majority of Africans lived during this period. In the teaching of African history at the K-12 level, decentralized societies are often completely over-looked or are marginalized. We reject an approach to African history that fails to recognize the social, cultural, and economic sophistication and deep human-ness of de-centralized societies in which the vast majority of Africa lived. Strong emphasis will be placed on the role of trade (material and ideas) and migration (migration of speakers of Niger-Congo or “Bantu” languages) in the dynamic history of Africa during this era. Early Contact: European expansion and “age of discovery.” Rationale for early involvement in Africa and African reaction. Slave trades: special emphasis on the Atlantic (triangular) Slave Trade and its horrific impact on West Africa, also addressing trans-Saharan and East African slave trades. Colonialism: the rationale and practice of colonialism in its different forms (Anglophone, Francophone, Lusophone; direct and indirect, settler and non-settler) with emphasis on the economic, social, cultural, and political impact and legacy of colonialism. Special attention will be given to African reaction (and resistance) to colonial rule. Much of the discussion on post-colonial Africa will take place in our discussion on African politics/governance and economics. There are numerous tools that are at the disposal of contemporary historians for their exploration of African history. 1. Written sources: A number of African civilizations (Egypt, Nubia, Kush) and the Islamic societies of North, West, and East Africa have rich written traditions, which historians can use in exploring African history. It is important for students to recognize that societies without written records are not societies without history. Even in areas of Africa without traditions of writing, there are often rich sources to draw on including the writings of travelers (traders, explorers, missionaries, etc.) from other regions of Africa and from outside Africa. 2 Oral Sources: Most African societies have rich traditions of oral history and narratives that have recorded official histories and stories. In West Africa official oral historians are know as Griots. In addition, a growing number of historians and anthropologists have expertise in using oral sources to reconstruct (or increasingly, to supplement) histories of peoples and events in the absence of written sources. 3. Material culture & artifacts. We can learn a great deal about African history through the study of material culture and artifacts. Archeologists and historians learn a great deal about the way people lived-what they produced and traded, the way they organized themselves, and even their beliefs-through the study of the remains of their town/villages, houses, tools, house-hold items, and cultural artifacts (plastic art, musical instruments, etc.) The study of material culture elicits important aspects of the story of trade and migration in Africa. 4. Study of Language. Linguistic analysis has been a key tool for understanding migrations and movements of people. The study of similarities in syntax, grammar, and vocabulary among geographically disparate language populations provides invaluable historical information on the origins and movements of groups. One of the central themes in African history for the past millennia has been migration-small and large scale- within the continent. These migrations have played a central role in the spread of technologies (agriculture, metal work, pottery), and ideas (systems of social organization, governance, and beliefs). These tools and methods of studying history are not unique to Africa. Historians use the same methods to investigate the histories of all regions of the world, including Europe and North America. Finally, it is important for students to recognize that historians do not simply use these tools to uncover facts. A written or oral record of an event, social practice, or report of a person’s life does not indicate factuality. A historian’s job goes beyond accessing and retrieving historical artifacts and records. Central to the historian’s craft is the critical analysis and interpretation of records. Our knowledge and understanding of Africa’s past changes as new resources become available, but also as we bring more sophistication to analyses of these records.